Barnes Moving and Storage has a clean, safe furniture storage facility based in Mystic CT. One big headache when you are working on your house is moving the stuff out of the way. Remodeling your home is exciting and alot of work. When many of us think about planning a home remodel we think about picking materials, colors and the complete final product. Planning ahead of a home remodel can make the project more efficient and help relieve your stress as a home owner. At Barnes Moving and Storage we recommend moving your large furniture items into a storage facility before the project gets under way. When your valuable furniture is safely stored you reduce the risk of furniture damage. 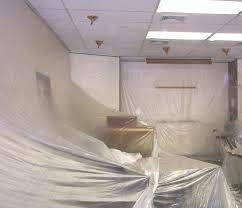 Eliminate the headache of having to re-relocate your furniture to make room for heavy tools and equipment. Another benefit of storing your items during a home remodel is the functionality of your home during the remodel. It can quickly become a issue to have a dresser in the hallway, or an armoir blocking a closet. At Barnes Moving and Storage we can help you pack and move your furniture and household items into a safe and clean storage facility while your home renovation is underway. If you have questions about remodeling storage options, please call Barnes Moving and Storage. Call 1-860-536-8960.